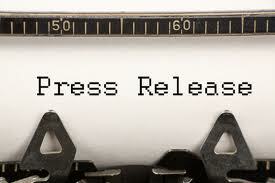 Press releases should be an integral part of any search marketing campaign and ongoing strategy. Although you may think your company does not have “news”, there are always topics we can create and publish about your organization. There are three MAJOR benefits to publishing press releases: deep link building, short term boost to your ranking for certain keywords and result page crowding. First, press releases allow you to build anchor text linksto deeper pages on your site that don’t attract links naturally. And because of syndication and scraper sites, those deep pages will acquire lots of links from a variety of sources. Many sites pick press releases because they are relevant and it is basically free content for the sites. Secondly, those pages often see a quick boost in the search results because of freshness factor of press release syndication. However, that boost is temporary and will fade over time. However, the short increase in search engine traffic is a big benefit. Lastly if you include your brand, company name or product in the headline or subhead, the release should rank page one for a branded query and help you “crowd the SERPs” for your brand. And often, that release will occupy a slot on page one for a few months. So if you think you are not “newsworthy”, think again. There are always ideas to publish. New products, new promotions, awards, certifications,, new websites, yadda yadda yadda. It is like Seinfeld. It may be a show about “nothing”, but there is always a show. Please call Agile today to discuss how press releases can help your company.